363. Humboldt Lake.-The course adjoins the southern edge of this lake and crosses the Southern Pacific Railroad 5 miles beyond. If the elects to not fly the direct course, the Southern Pacific Railroad may be followed from Battle Mountain to Winnemucca, a distance of approximately 60 miles. At Winnemucca is an emergency field south of town, marked by a wind indicator and a T . Supplies necessary for reservicing a ship may be obtained here. At this point the Western Pacific continues on in a westward direction, while the Southern Pacific turns to the southwest. Following the Southern Pacific for 30 miles to the small town of Imlay will be reached. There is open unobstructed land on all sides of this town, suitable for emergency landings. Forty miles further on will be found the city of Lovelocks. A first class landing field is situated here on the eastern edge of the Southern Pacific tracks just south of town. A permanent T has been placed on the field and a rolled runway constructed. Gas and oil may be obtained from the Standard Oil plant on the edge of the field, and at a near-by fertilizer plant there is a fully equipped machine shop which is offered for the use of any pilot who may need to make repairs to his ship. This field is level and is kept up in good shape. Pilots coming in must hold the ship up with the gun until they pass over a series of irrigation ditches at the end of the field. After these ditches have been passed a landing may be made. 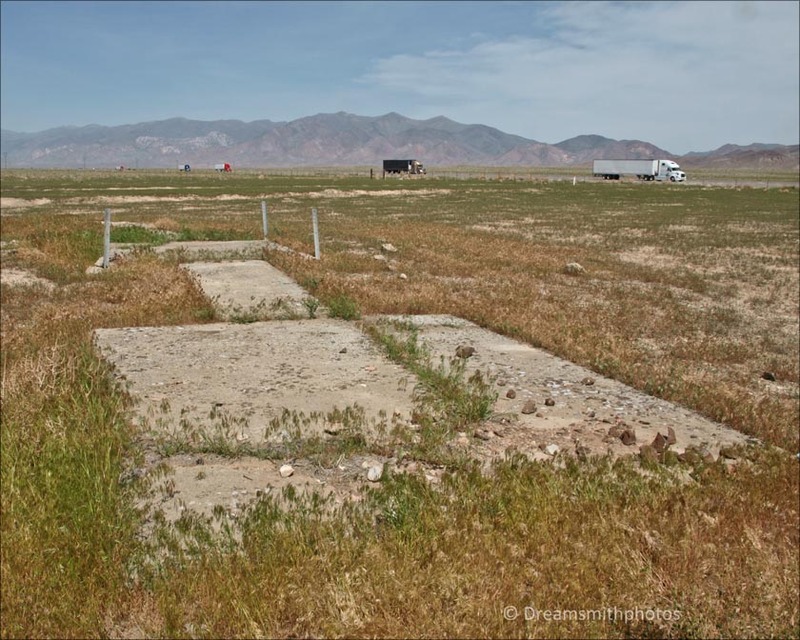 Numerous emergency landing fields may be found all the way between Winnemucca and Lovelocks. Twenty-five miles farther on the Southern Pacific joins the course 5 miles east of the southern edge of Humboldt Lake, into which the Humboldt River empties. 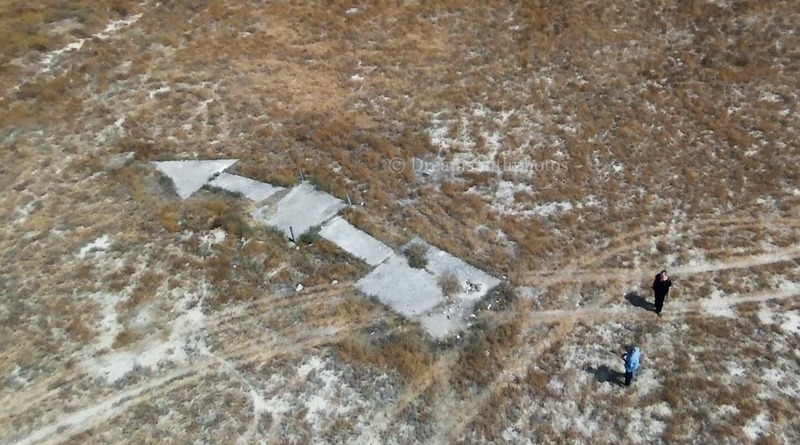 To the south of Lake Humboldt is Carson Sink, which has a dry sandy bottom throughout the year and offers an ideal landing ground, but is uninhabited and pilots can not receive assistance except along the railroad. By following the Southern Pacific Railroad from Humboldt Lake southward for 25 miles, Hazen, Nev., will be reached. 388. Hazen, Nev.-Fourteen miles south of the course on the Southern Pacific Railroad. Four branches of the railroad radiate out of Hazen. All about the town there are open fields of sufficient size to set down an airplane. The best landing field is to the south and east of the Southern Pacific roundhouse and is a space a mile long and half mile wide. Sage brush grows on the eastern portion of the field and the southern end is bound by a set of high-tension wires. 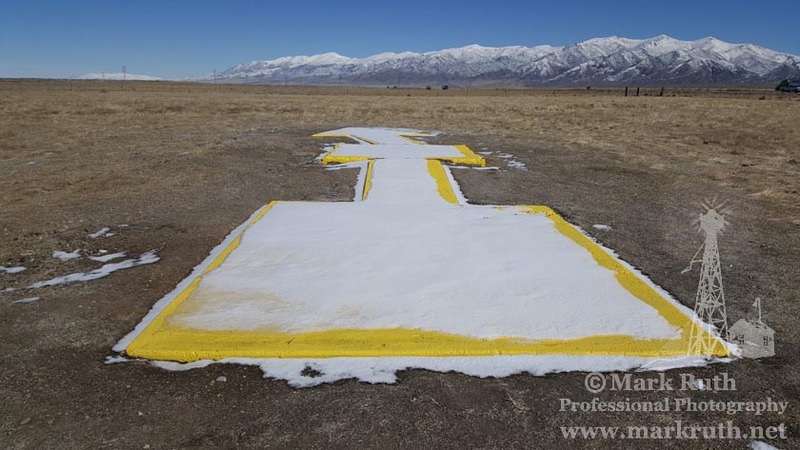 A 40- foot T marks the field. If the pilot has flown as far south as Hazen he can follow the Southern Pacific westward into Reno. If he is on the direct course. he will cross the north branch of the Southern Pacific 7 miles north of where it joins the east-west main line at Fernley. Twelve miles to the north Pyramid Lake can be seen. Nevada (SF-SL airway).—Discontinuances on the San Francisco-Salt Lake airway, effective November 30, 1930, are given herewith. It will be noted that these items are carried by site number sequence rather than the customary alphabetical order of geographical names. Site No. 27.-2,000,000 candlepower beacon light in operation in the vicinity of Oreana, and two red course lights flashing characteristic No. 27. 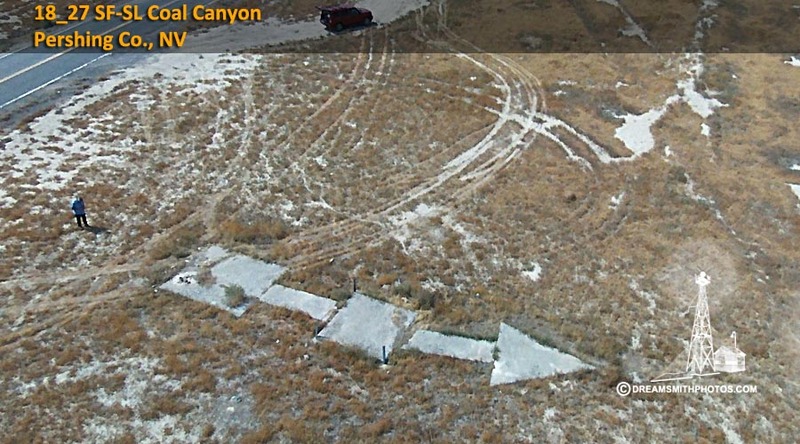 The Coal Canyon Arrow is the first arrow we stopped at on our 2014 Arrow Quest that covered 5,000 miles. 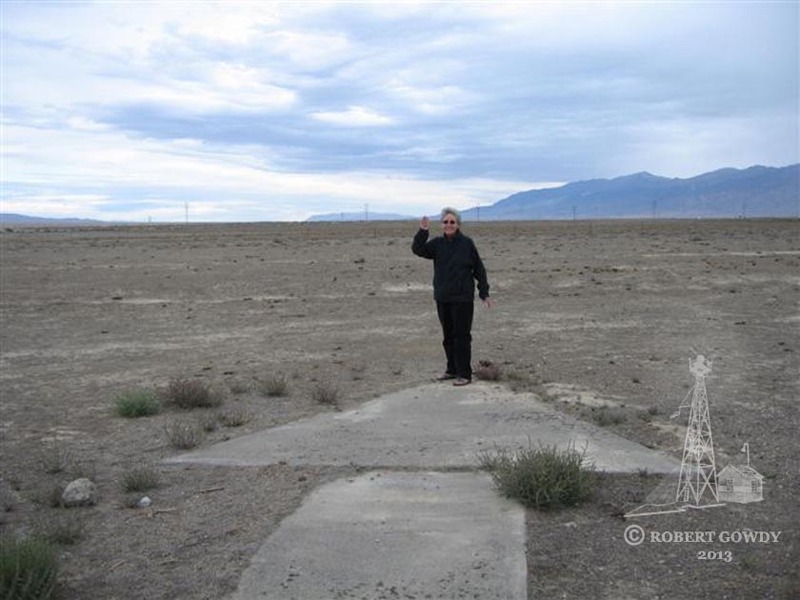 It is located approximately 13 miles east of Lovelock Nevada, and was one of the easiest to get to on our quest; as it was about 2 miles from I-80 with a paved road leading right up to the arrow. The arrow was located in a wide open plain in the middle of Nevada, with mountains in the far distance. It is a complete arrow with some cracking. The total length is 57 feet. The pilot would approach the tail of the arrow on a compass heading of 40° (NE), and then exit the arrow on a compass heading of 13° (N-NE). Sometime after our last visit to this arrow, the beacon legs werevcompletely removed and has been painted, it has also had all brush removed and appears to have had the concrete patched.